Harsh winter. 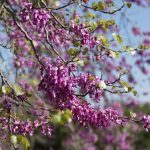 If a redbud had no buds and has no leaves, should we remove it or is there a potential for it to come back? One is right in front of it and it seems to be fine. We have had 2 very very cold winters here in Michigan. Yes, the harsh winter has been very hard on our gardens. If the branches are brittle and snap, then most likely your tree died. It is a good time to plant a new tree and get it established. 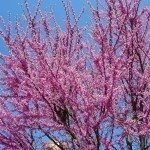 I lost several established trees in my zone 4 garden this year.